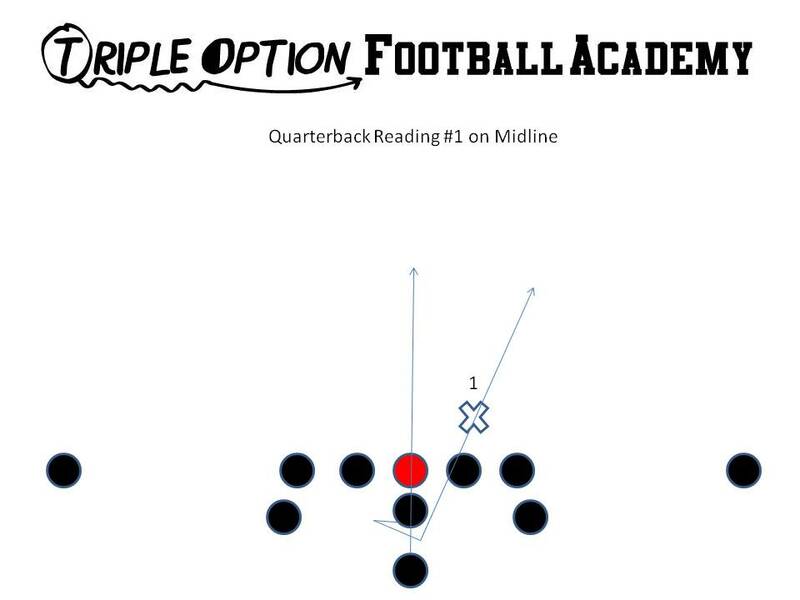 Quarterback Read progression on Midline. The Quarterback does the following: 1. Takes the snap; 2. Seats the ball; 3. Hops deep into backside A-gap; 4. Points the ball; 5. Gives to the B unless #1 can tackle the B; 6. If so, the Quarterback reseats the ball, steps with his playside foot, replaces #1, and scores. This entry was posted in flexbone, army, navy, offense, playbook, veer on July 15, 2018 by Dr. Lou Cella.